No doubt it is extremely flattering that the author has quoted me at the beginning of his book. In fact, I read the whole series and reviewed the first, a review Mr. Ginex kindly reproduced. As chance would have it, the great Sigmund Freud was much taken up with the same story, following very similar lines of investigation and reasoning to that in Amen. I’m bound to say, Mr. Ginex work is a great deal more readable; but it is not flattery or the footsteps of the great which lead me to comment again. Now we live in a new astronomical age; no, the Earth did not disappear in a puff of smoke on December 21st 2012. Reality does not move in such predictable ways, but a revolution is occurring in our understanding for all that. Nick Ginex would, himself, deny being an incendiary; his work is far too scholarly and well founded, and yet he is part of that revolution, very quietly and carefully, is set light to a bonfire of all our errors of religious tradition and culture, errors that have grown and persisted over many centuries. He does it with such charm and modesty, giving time for the reader to absorb the evidence, so that it is impossible to avoid the enlightenment his books bring. I have watched Mr. Ginex defuse the objections of the skeptic and the bigot without asperity or condensation, and it is refreshing, after the strident times we’re lived through, to see someone quietly present the truth we should all know. In Amen you will find a number of revelations; in fact, you’re in for a treat. We live at a time when authority figures seem to have lost sight of the meaning of “truth,” ‘spinning cheating and disassembling to promote their own views and goals they have lost touch touch even with themselves. 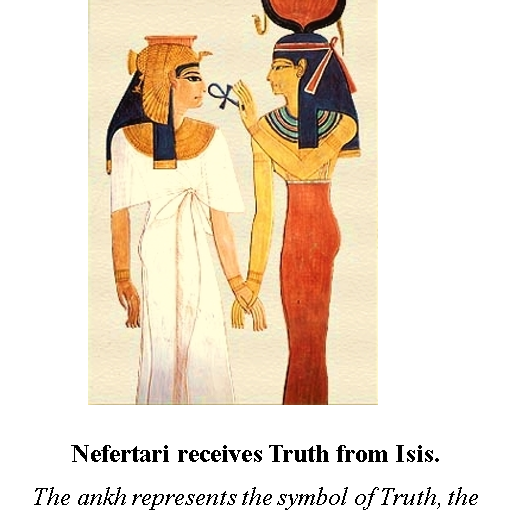 Being given the meaning of Amen at beginning of the book, I am taken back to Ma’at, the ancient Egyptian essence of Truth. It is in the spirit of Ma’at you can take the word Amen, and the whole of this book. Indeed, Amen explains how Amen became the Lord of Truth. Mr. Ginex deals masterfully with a great sweep of Egyptian history, closing the gap between our understanding and Egyptian understanding in most remarkable ways; for instance, his explanation of ka or soul outstrips what many modern theologians can offer. Not content with this Amen takes on the great sweeps of Catholicism and Islam in a spare and direct way which allows readers to encompass the whole. Yes, it all pivots around the figure of Moses, as Freud’s work did, but without disrespect to the master of psychoanalysis, Mr. Ginex is simply so much deeper, broader, richer and better. It is the last section of Amen which most moves me, particularly the Hymn of Jesus. The treatment of Jesus and St. John’s revelations is profoundly insightful, it may well change your mind if not your life. It is the plea for oneness in the last paragraph of the text which I would most like to echo. 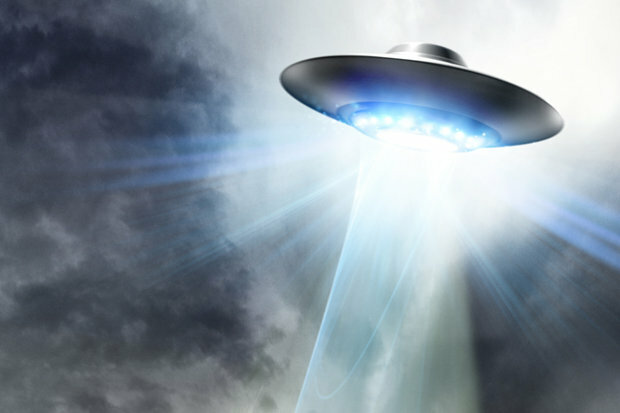 There is hope, with Egyptologists like Anthony West, scientists, researchers and teachers like Gregg Braden and Graham Hancock and far too many others to mention, we are at last breaking away from the small and the fearful. Now there is Nick Ginex, AMEN! Educated, intelligent people of Iran cannot continue to tolerate the repression of their individual freedoms by an archaic ideology founded on the Quran and enforced by Sharia law. The above causes are symptoms of a fundamental root cause, which is repression of people by strict adherence of religious beliefs contained in the Qur’an. Iranians indoctrinated into the Islamic religion cannot leave this religion without being killed as an apostate. 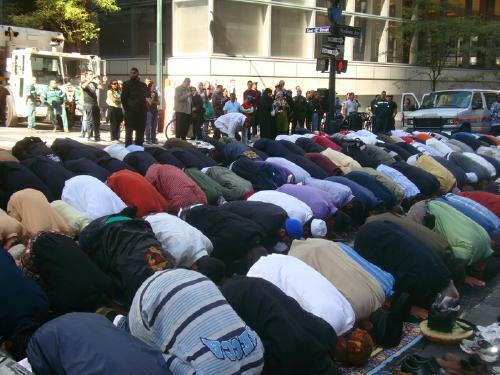 It is fear of arrests, injury or death that has allowed Islam to grow into a world religion. To read an objective and factual history how Islam became a repressive religion, what are the abominable verses in the Qur’an that incite bigotry, hatred, violence, the killing of people who do not follow Islam, and how Islam spreads by the incessant indoctrination of young minds please go to the following link; it presents a FREE READ of Allah, We, Our and Us. 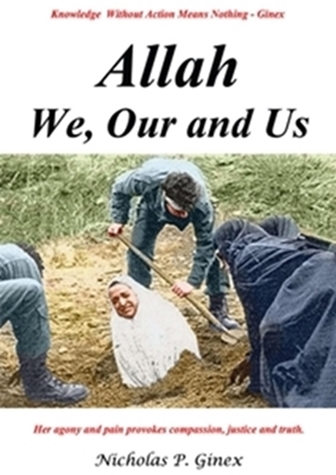 As the author of Allah, We, Our and Us, I was motivated to write about the why Islam is a repressive religion that denies individual freedoms for people to expand their view of other ideologies, engage in acquiring some of the great thoughts of philosophical and freedom thinkers, and challenge the present conditions of a regime that needs many changes to implement a constitutional and democratic government. The front cover of the book, Allah, We, Our and Us shows the anguish, pain and agony of an Iranian woman about to be stoned to death. It was this photograph that provoked me to join Dr. Ahreeman to fight for justice and truth that must be revealed to all Muslims about the repressive and ugly religious beliefs instilled into the minds of unsuspecting, innocent minds. To learn why the Islamic religion is a threat to countries around the world, it is necessary to objectively and logically understand the problem in order to solve the problem. A question raised about Islam is, “Why do Muslim extremists force their Islamic religion on people with different religious beliefs?” An answer will help to understand why this prevalent problem exists in order to solve the problem. A problem so encompassing that Muslims will even commit suicide to kill nonbelievers of Islam. To begin to understand the problem, it is necessary to examine that it is Islamic indoctrination that forms the psyche of the Muslim mind. It is an insidious indoctrination that creates a feeling of unity with the Creator and the compulsion to impose this unity on all people with the altruistic belief that they are promoting the integration of mankind with the Creator. In the New Year, our hopes and prayers are with the millions of people who are suffering terribly from oppressive governments in North Korea, Venezuela, Cuba, and especially in Iran, where the long-repressed Iranian people are now finding their voice. The Iranian government is being tested by its own citizens. We pray that freedom and human rights will carry the day. Nikki Haley’s statement shows that the U.S. will support any uprising by the Iranian people if Iranian leaders will use forceful measures to deny the rights of Iranians to protest and fight for the freedoms enjoyed by Americans. This position by America is encouraging and much more positive than Obama’s indifference by supporting the Iranian mullahs and imams during the 2009 protests for representative government. 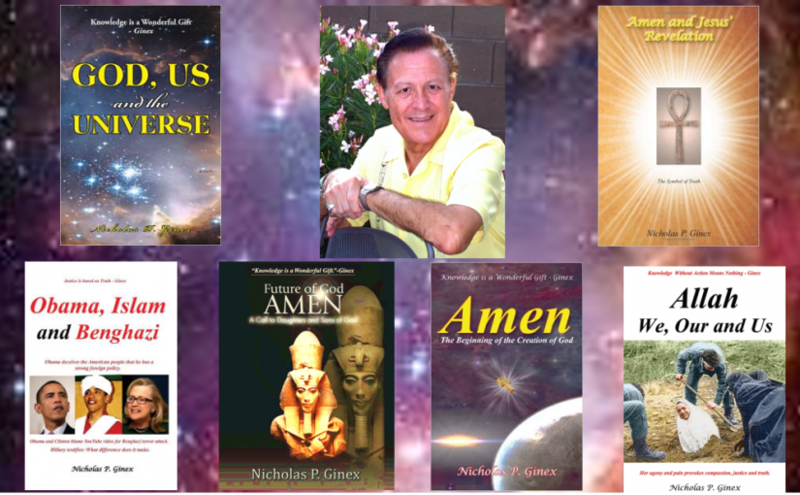 Nicholas Ginex, a perceptive writer of our time, has written books to inform and educate young and mature minds to learn the history of how mankind conceived One-Universal God and how that God has been envisioned by the Judaic, Christian, and Islamic religions. 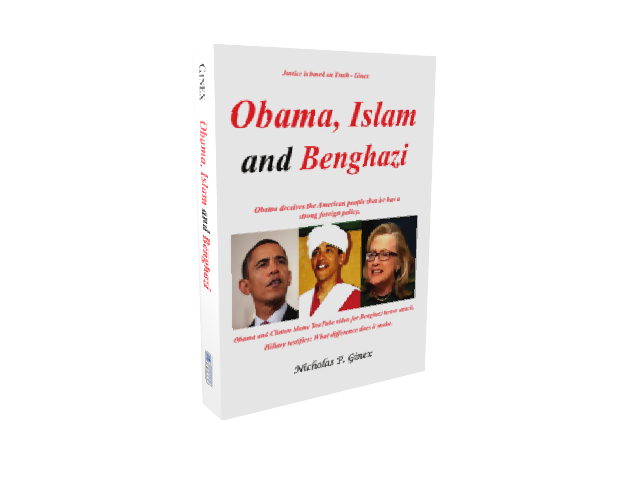 Posted on January 7, 2018 April 10, 2019 Categories Articles, ReligionTags Allah, Allah and We, History of Islam, Islam and the Qur'an, Islam Reformation, Islam will be defeated, Islamic extremism, Islamic indoctrination, Islamic terrorism, Muslim beliefs, Nicholas Ginex, Obama and Benghazi, Revise QuranLeave a comment on Islamic Republic of Iran Will Be Defeated! During the holidays people enjoy reading. This article recommends books that present how mankind conceived one God and the development of major religions. The following presswire link was released on December 12, 2017 and provides the article below. Nicholas Ginex, a perceptive writer of our time, has written books to inform and educate young and mature minds to learn the history of how mankind conceived One-Universal God and how that God has been envisioned by the Judaic, Christian, and Islamic religions. As a young boy, Nicholas wondered who was God and where did He come from? This question many people ask themselves at some period in their lives. Raised as a Catholic, his curiosity led him to attend the services of many Christian and Jewish churches to learn how they prayed and believed in God. As Nicholas matured, he engaged in many conversations with devout men that strongly believed and proselytized their religion. He found that due to the many similarities of their beliefs, there had to be a common root that caused the birth of their religions. Having read many books by religious scholars and exceptional Egyptologists, he self-published his first book at the age of sixty-eight. It was titled, Legacy of a Father, which was written for his four daughters to remember him after death. This book reveals that the first formalized religion developed in Egypt and was where the concept of a soul, heaven, and One-Universal God was conceived. Too long for the average reader, with over 650 pages, Legacy of a Father was cut in half by excluding the history of Egypt, its succession of pharaohs, and titled, Future of God Amen. It presents evidence of how the major religions of Judaism, Christianity, and Islam emulated the original beliefs of the Egyptians. This revelation by Jesus Christ validates that Amen is the beginning of the creation of God. Amen was strongly venerated throughout the ages. His name is still said by believers at the end of a prayer in their homes and in their house of worship. Whether they are religious or not, people say Amen when requesting or giving thanks for a desired outcome and they sing Amen with reverent voices in houses of worship. 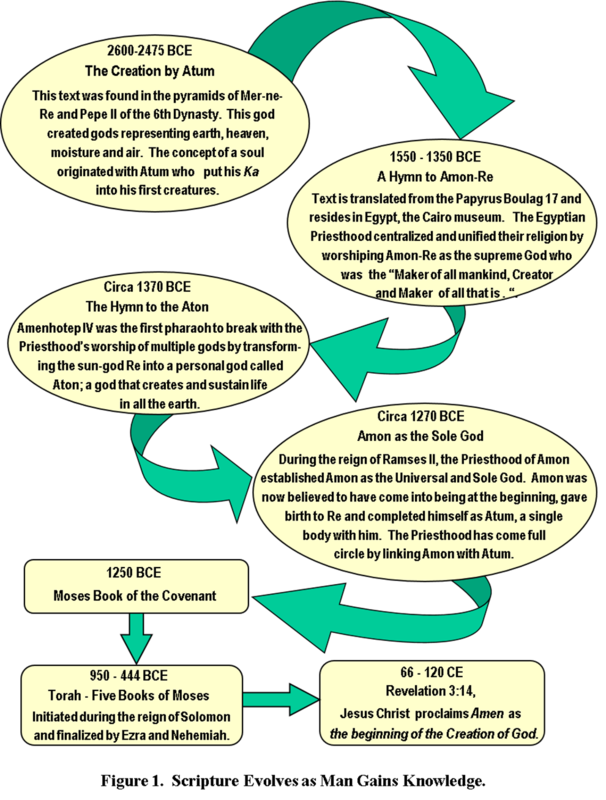 To provide factual evidence surfaced by Egyptologists that verifies how the scriptures of the Egyptian, Hebrew and Catholic religions developed the concept of One-Universal God, Nicholas wrote a paper titled, Provide History of Religion and God. Published by the The Chute Institute, it presents an illustrative overview that reveals Egyptian writings led to the development of the Hebrew and Christian scriptures. The link for this paper is provided below. It was noticed by ERIC (Education Resource and Information Center) and placed on the Internet. ERIC is sponsored by the Institute of Education Sciences (IES) of the U.S. Department of Education. Nicholas’ pursuit for knowledge had gained the respect of many writers in religious forums. He believes the values of honesty and integrity are strengthened with the belief in God and are crucial for humanity to thrive in any civilization. To initiate an understanding about the beginning of the Universe, Nicholas opened avenues of thought that enter the realms of philosophy and science. His article titled, Does Consciousness Pervade the Universe? 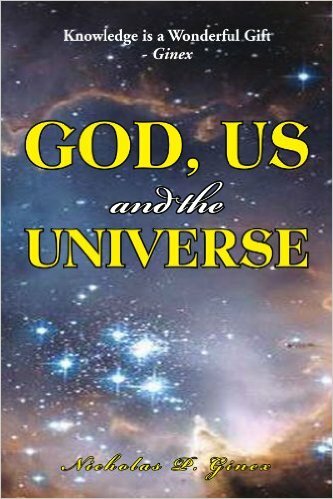 provides a stimulating and philosophical view that joins science with mankind’s quest to know God. This article has been placed on the Iran Politics Club website and made available via the link below. It presents the philosophical view that all things have a beginning. Nicholas writings were motivated to unveil the truth about our past history and expose lies and deceit that have led to the killing of innocent lives. He desires to have all people understand why the religion of Islam needs to go through a reformation with needed revisions to the Qur’an. In Allah, We, Our and Us, he presents how Islam became an empire by conquering many countries and subjugating people they captured to worship Allah or die. Having read the Qur’an line-by-line, Nicholas exposes its many abominable verses that incite bigotry, hatred, violence, and the killing of innocent people because they have religious beliefs other than Islam. Both books, AMEN, The Beginning of the Creation of God and Allah, We, Our and Us, respectively make exceptional gifts that increases knowledge about the beginning of God and why the Qur’an was written by a group of fanatical men to indoctrinate Muslims in believing that Islam will prevail over all other religions. Much has been presented in this Press Release. The author thanks readers for taking time to examine the book reviews provided on the website http://www.futureofgodamen.com. Time is precious and such examination is warranted to invest time to acquire knowledge. Time invested to read about Mankind’s development of the belief in God and why Islam is a threat to all people around the world – is time well spent. Readers who wish to read articles written by Nicholas Ginex and/or provide comments, may visit his website at http://www.nicholasginex.com. Muslims need to learn there are abominable verses in the Qur’an that are the source of discontent and Islamic terrorism. FOUNTAIN VALLEY, CALIFORNIA, UNITED STATES, August 22, 2017 /EINPresswire.com/ — Nicholas Ginex tells Muslims and non-Muslims to communicate with one another to expose the abominations in the Qur’an. By exposing abominable verses Islamic religious leaders will be pressured to revise the Qur’an. 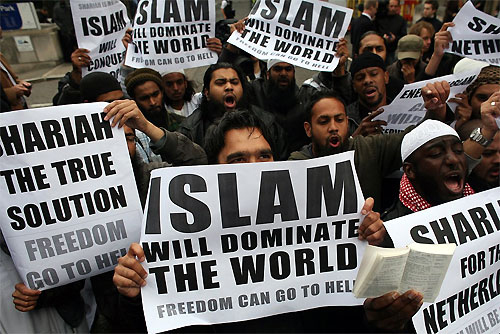 Through communication Muslims will learn that they have been indoctrinated to believe a theology that causes them to become bigots, hate people who have other religious beliefs, and kill themselves and people in suicide and extremist attacks. 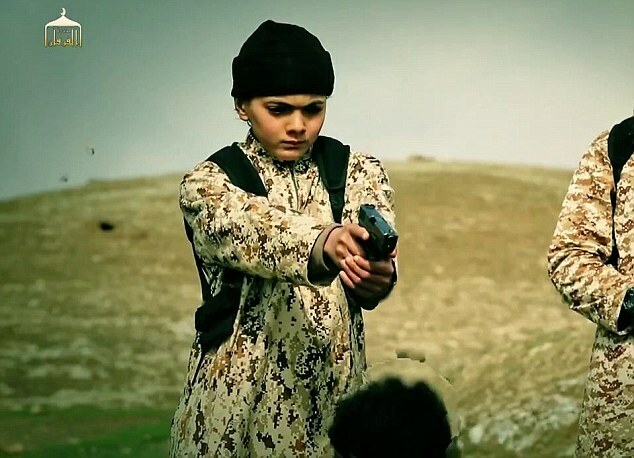 They will no longer tolerate imams, caliphs and mullahs to make fools of them by killing their own children for loving other people or having other religious beliefs. To achieve an effective communication campaign, they can purchase Allah, We, Our and Us for distribution to educational institutions, government agencies, and humanity organizations around the world. It provides how Islam became a Theocratic Empire in just 29 years from Muhammad’s death and why abominable verses in the Qur’an cause Islam to be a danger to all civilizations. It is available as a Free Read. Two decades after Muhammad’s death, a religious party of men incorporated into the Qur’an the authority to invite goodness, enjoin equity, and forbid evil. The five verses below conclusively reveal the TRUTH that they wrote many verses in the Qur’an to indoctrinate Muslims. Was this written by a party of men or Allah? It could not be Allah because they even authorized themselves to abrogate or cause to be forgotten previous commandments of Allah in the verse below. Another verse written by a party of men is revealed in Sura 96. Sura 96: Tell me, if he who prays follows the guidance and enjoins righteousness, and he who obstructs rejects the truth and turns his back on it, what will be the end of this last one? We will surely drag him by the forelock, the forelock of a lying, sinful one. Then let him call his associates, we too will call our guardians of hell. Surely, it cannot be Allah who drags a sinner by the forelock but men under orders given by a party of men. The next sura verifies Allah cannot be “We, Our or Us” because it would mean Allah kills people at night or while they sleep at noon. Killing dwellers and destroying their towns could not be by the Most Gracious, Ever Merciful Allah. Sura 8:16-19 verifies many verses were written by a religious leader or powerful commander. Thus, on the day of Badr it was not you who slew them, but it was Allah who killed them; and it was not thou who didst throw gravel at their faces, but it was Allah Who threw it, that He might confer a great favour upon the believers. Surely, Allah is All-Hearing, All-Knowing. That is so; and Allah will surely undermine the design of the disbelievers. Clearly, these are not the words of Allah but a commander or a powerful religious leader. The commander’s technique of using Allah as sanctioning atrocities has been a successful form of brainwashing or leadership to convince his fighters that the killings are not through their own volition but by Allah who supports and directs their actions. 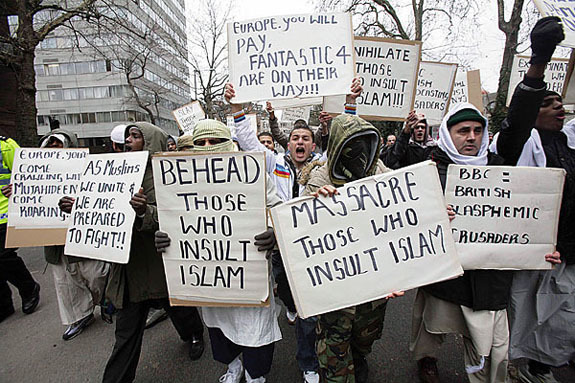 This is why Muslim terrorists yell >>Allah Akbar<< in the performance of violence and killing nonbelievers. The above suras conclusively prove that many of the suras were written by despotic men whose ambition is to conquer the lands and wealth of nonbelievers to establish world-wide the religion of Islam. Conclusion: Muslims and people world-wide must EXPOSE the Qur’an as the source of discontent and Islamic terror committed by Muslims. This press release reveals the Quran was written by a party of men and therefore CANNOT be the Perfect Word of Allah. Only through >>communication of the TRUTH<< can Muslims be courageous to initiate an Islamic Reformation with the objective to Revise the Qur’an.